* As a xmas special the daily reversal levels for over 2500 can be picked up for free today: https://gum.co/QbEw. * Sell signal for BAC and IBKR. 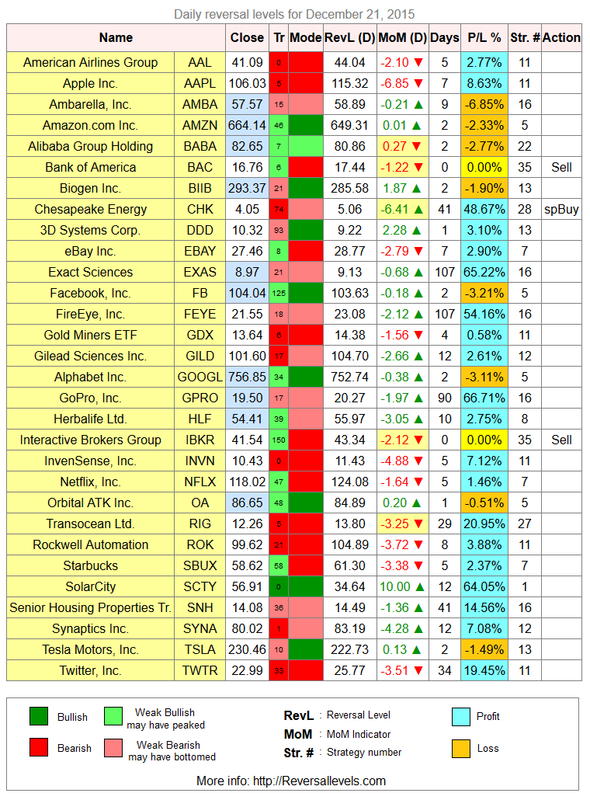 * Speculative Buy signal for CHK. 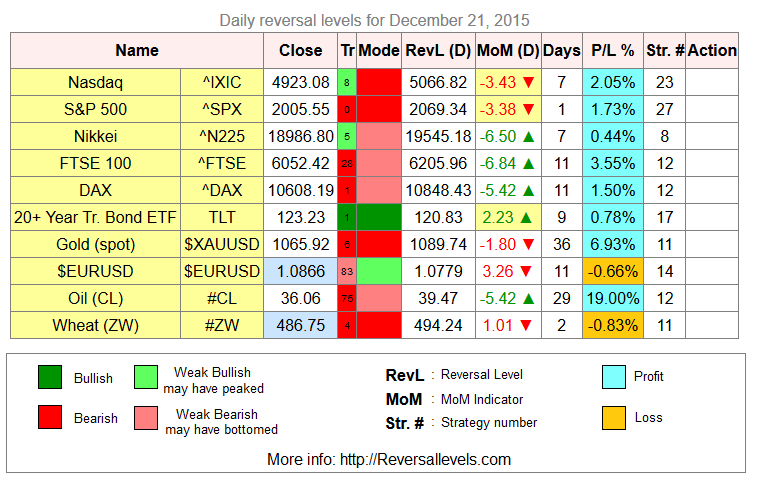 Weekly reversal levels for December 19, 2015.